The historical facts about the native roots of our republic have been left out of history books. Politicians wave the American flag and march soldiers to war without any true understanding or respect for the actual history. Hot topics during elections always include women’s issues, immigration, and the environment, but for all of the rhetoric our leaders appear clueless. Counsels of Iroquois Natives had put a lot of thought and discussion into these issues almost 300 years before America declared her independence in 1776. 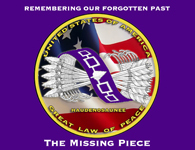 The Iroquois Confederacy was based on The Great Law of Peace and much of the original teachings were adopted and incorporated into The United States Constitution. Now is a good time to consider The Great Law of Peace in light of the pressing issues of our day. The extension of liberty and political participation to women, who nominated the male leaders, was also an important part of The Great Law of Peace since the 1400s. Pope Nicholas the fifth issued a Papal Bull which gave Christian explorers the “right” to claim lands not inhabited by Christians for exploitation and “discovery.” It was also stated that “Pagans” could be converted, enslaved or killed while the land and spoils would belong to Catholic Monarchs in Europe. Many people today claim that America was founded on “Christian Values” though history shows that the conditions of “discovery” by Columbus and Conquistadors were far from the principles taught by Christ according to the New Testament. Currently, America spends 10 times more on military and war than on healthcare, housing, and education. We hear people talk of tax-dollars going towards healthcare, housing and education as if it is socialism, but we never hear of war as a socialist plot or an entitlement… Regardless, I find it comforting (and ironic) to know that the founding principles of our republic were based on liberty and peace. It is clear to see why Ben Franklin and the Founding Fathers had such a deep respect for these indigenous teachings as they actually mirrored Christian teachings in the New Testament. It also makes me wonder what our elections or foreign policy would be like today with that kind of respect, honor and statesmanship? In the Indian character resided a fierce individuality that rejected subjugation, together with a communalism that put the welfare of the whole family, tribe, or nation above that of individuals. (Bruce Johansen, “Forgotten Founders“) America is the land of the individual and it should stay that way, but not at the expense of the whole family, tribe, nation, or planet. Is it possible to love America, our roots and also recognize that we are part of a global community? Our polluted air and water flows across nation borders unrestrained, and our corrupt banking practices have shaken the foundation of the worlds economy. Can we re-vision America and our planet with respect for the past while simultaneously incorporating peace? The true ideals of liberty also include a responsibility to the greater community (locally, nationally, and internationally). Social, environmental, and economic responsibility to the whole would be an expression of ethical values regardless of any particular religion, corporation, or nation-state who claims to hold itself as virtuous. Strands of indigenous wisdom remain and are still strong in all of the Americas. Many claim this to be a time of destruction while many natives believe it is a time when the world will be ready for ancient indigenous wisdom to be embraced by the rest of the world. I recently discovered a wonderful Facebook Page about The Great Law of Peace and have enjoyed sharing information about this important history of our great nation. You might also enjoy reading this other great piece of information in a paper by Grace Li Xiu Woo.